The Oxford Alternotives Captivate With Covers Of Rihanna & Celine Dion In Episode 5 Of "Pitch Battle"
And just like that, the semifinal rounds are complete. In the fifth episode of BBC's "Pitch Battle" six more groups went head-to-head in hopes of earning a spot in the live finals. 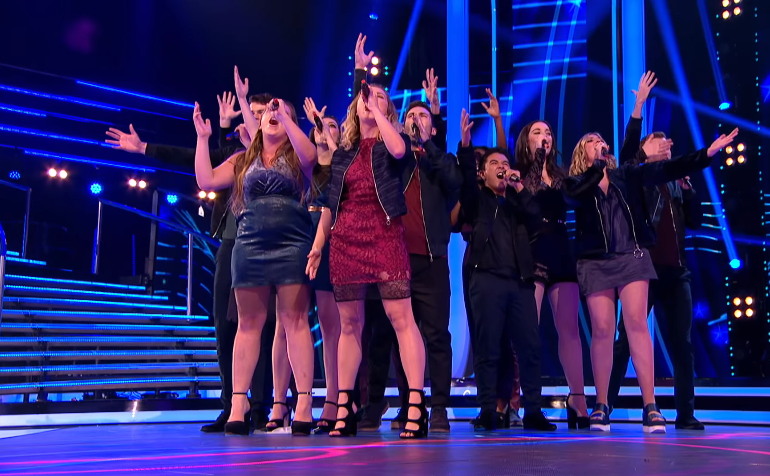 What made this specific episode especially entertaining, and quite possibly harder to judge was the fact that many of the groups could easily hold their own, vocally, without the aid of a backing track. One such group was the co-ed band of singers, The Oxford Alternotives. The group was introduced to audiences in the opening performances with a "booming" take on The Black Eyed Peas "Boom Boom Pow." While we would have loved for the Alternotives to be given some more airtime in the opener, the song gave us a glimpse of the group's modern and young personality. Next came time for the individual numbers, which saw The Alternotives tackle a Rihanna Medley. From the jazzy take on "SOS" to the full sounding, and spellbinding chords that were executed, the Alternotives were easily one of the best technically sounding groups to perform during this episode. Then came the Riff-Off Battles, which saw the Alternotives battle the Operatic powerhouses, "Vox-Xover" where the theme was songs that touch on the subject of loneliness. While both group's song selections were rather interesting, the highlight came in the Alternotives final song "All By Myself" which was absolutely stunning. The number was simultaneously elegant and showstopping as the lead vocalist for the Alternotives' was an absolutely perfect fit for the song. Unfortunately, the Alternotives did not advance to the final round, but their time on the show helped to prove that this is a group who deserves much more attention. We'll be keeping an eye out for what they do next.